Lucas Pouille ended his week by winning the Open Sud de France title against his fellow countryman Richard Gasquet in straight sets. 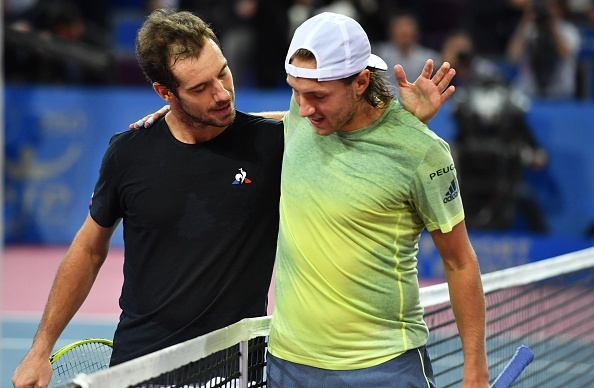 Lucas Pouille capped a perfect week off without dropping a set to defeat the four-time champion Richard Gasquet 7-6(2), 6-4 to claim the Open Sud de France title, making him the third Frenchman to win the tournament in Montpellier since it's move from Lyon in 2012. This was the 23-year-olds second title on home soil after Metz last year and his fifth title overall, three of them coming indoors. Both players begin the final with a hold of serve. In the third game, Pouille having taken a 40-15 lead was sent to deuce but came away unscathed with an excellent serve out wide followed by a volley winner to stay ahead early on at 2-1. Gasquet leveled but found himself behind once again at 3-2, with a comfortable hold from the 23-year-old. The four-time winner then found himself under pressure and needing to save double breakpoints following a forehand winner. Two excellent serves from the world number 33 sent the game to deuce but Pouille continued to pile on the pressure and even brought up a third break point of the game. Once again, the 31-year-old denied his fellow countryman and eventually held to stay in touch at 3-3. Pouille got over the disappointment of not breaking and held serve to go up 4-3 but Gasquet again, followed suit to make it 4-4. Th 31-year-old then had his first break point of the game at advantage but the point was quickly snuffed. Gasquet would then miss the second chance to break as Pouille held on for 5-4. Both players then held serve as the set went to a breaker. Gasquet lost serve at 2-1 and again at 5-2, with the second seed bringing up set point. A big unreturnable serve did the job for the 23-year-old, taking the set. Serving first in the second set, Gasquet looked to put some pressure on Pouille as he held serve in the opening game of the set. Pouille also held his opening serve in the set to restore parity at 1-1. Both remained untouched on serve thus far with the set level at 2-2. With the momentum on his side, Pouille carried that over from the first set and earned three break points following a backhand error. Gasquet managed to save two of the three breakpoints and despite the crowd chanting his name, he got broken with yet another backhand mistake to fall behind 3-2. The fourth seed attempted to get back into the contest, taking a 15-30 lead, however, Pouille won the next three points to consolidate and lead 4-2. Pouille continued to threaten in the match but the 31-year-old held on to stay just the break behind in the set at 4-3. 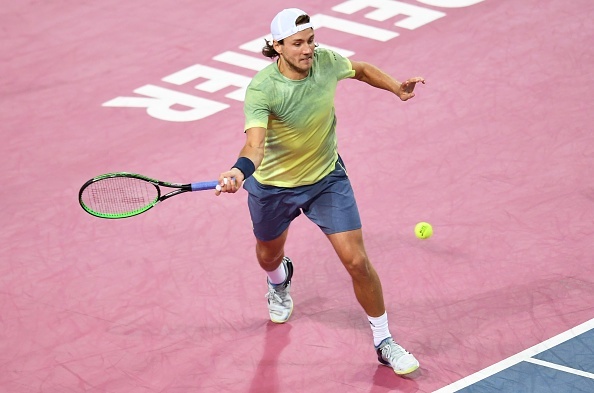 Pouille held a vital game in his next service game to go within a game of the title at 5-3. Gasquet held serve and attempted to put pressure on his opponent. The world number 17 eased his way to match points, earning three of them. Fighting all the way, Gasquet saved all three but Pouille hung on in, grabbed a fourth and ran around his backhand to hit a forehand winner to seal the title.